The Pacific Advisory Vanuatu Rugby League (VRL) has announced its squad for the upcoming historic Test Match vs the Solomon Islands in Honiara, Solomon Islands on Saturday 21st October 2017. The match will be the third fixture between the Melanesian neighbours with Vanuatu winning the previous two encounters in Mackay, Australia in 2013 and Port Vila, Vanuatu in 2016. It will be the first Test Match to be staged in Solomon Islands. The squad will again be captained by James Wood whose brother Daniel is one of the debutants in the squad along with Maxwell Garae, Anro Kalpukai, Oscar Kalpukai, Alickson Napakaurana and Ian Vuti. 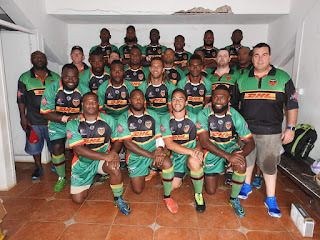 The squad features 12 players that took on Solomon Islands in 2016 while former captain Samuela Loaloadravu returns after missing last years game through injury and Rob Franklin returns for the first time since 2013 after recovering from a knee reconstruction.